If you have always wanted to try dim sum but never got around to it, then here’s a good reason to go: May is designated as Asian Heritage Month. 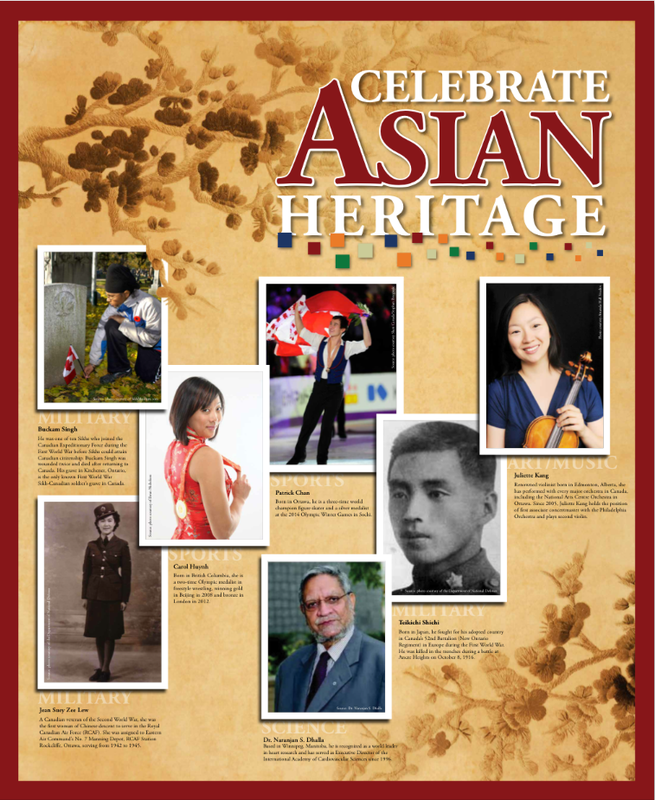 The Canadian Government’s web site (where you can download the poster above) says “Asian Heritage Month is an ideal occasion for all to celebrate the beauty and wisdom of various Asian cultures.” Of course, you can celebrate anytime of the year, but what better excuse to order Chinese take-out and indulge in a marathon of Bruce Lee or Ang Lee films? I’m currently reading A Cowherd in Paradise – From China to Canada by May Q. Wong and am loving it. It’s the story of Wong’s parents who were forced to live apart for 25 years because of Canada’s exclusionary immigration laws. It is a well-written account with family photos and it brings to life the price the Chinese paid when Canada enacted the Chinese Immigration Act. I met Wong when she came to Montreal to do a reading of her book. You can read about it here. The Measure of a Man: The Story of a Father, a Son and a Suit by J.J. Lee was a finalist for the Governor General’s literary award for non-fiction in 2012. This book deserved all the accolades it received. This memoir about a son who decides to become an apprentice to one of the last great tailors in Vancouver’s Chinatown in order to alter his father’s suit learns invaluable lessons about life instead.